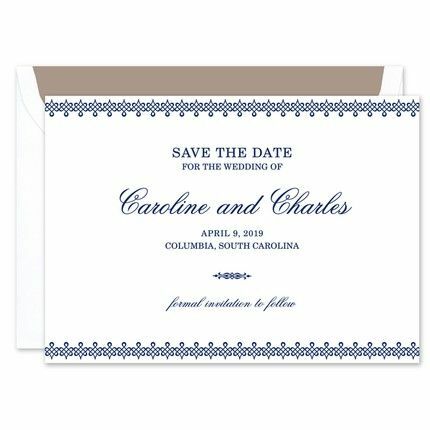 Invite your guests to save your date with this timeless save the date printed on triple thick paper. An intricate border, which prints in the same ink color as your personalized text, frames the top and the bottom of this flat card. Your own event details are printed in the center for a customized look. Shown with optional motif, Alexa-Embellishment.